The CID on October 03 arrested five Indian nationals who had been involved in a credit card scam masterminded by a doctor from South India on the pretext of running a gold jewelry business at the Gold Centre in Colombo Pettah. They had attempted to steal around Rs. 370 million rupees by using fake credit cards. The suspects were arrested using a decoy on a complaint received by the CID on October 02 about fake credit card transactions by using a posh terminal machine (no. 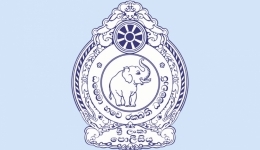 S/N 262-281-142) of the Hatton National Bank issued to its customer GTA City Lanka (Pvt.) Ltd. at no. 44, Gold Centre, Ground Floor, Colombo 11. On September 29 and 30, the suspects had tried 90 transactions to withdraw Rs. 45,351,070 and four of them for Rs. 188,700 succeeded, the bank has complained. A team from the counterfeit currency investigation unit, led by its OIC, inspected the said premises and arrested the five Indians. An encoder, 20 credit cards, a laptop, six mobile phones, 104 slips from the posh terminal machine for Hatton National Bank, Sampath Bank, Commercial Bank and Seylan Bank and other documents were seized from their possession. A transaction for Rs. 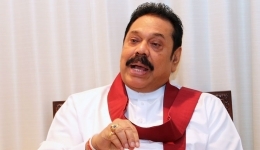 337,806,490 was carried out in April from a posh terminal machine given to GTA City Lanka by the Commercial Bank to the name of the first suspect, but had subsequently been prohibited. Posh terminal machines given by Sampath Bank and Seylan Bank had later been taken away. The rented premises was found to contain empty cupboards only, contrary to claims that it was a gold jewelry business. The mastermind Bawa Rawther Mohamed Haneefa is a registered doctor at Siddha Medical Council of Tamil Nadu under 1735/B. He is related to the suspect Mohamed Bawa Mohamed Nawsath, who had had the bank accounts to his name. Another suspect, Marimuthu Gowthaman, is a lawyer registered in the Tamil Nadu Bar under 788/2001. 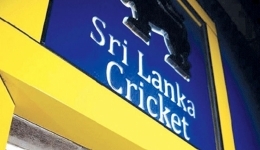 Produced before Colombo chief magistrate Ranga Dissanayake, the suspects were remanded until October 17.